SOMA GARDEN is a digital garden powered by your bio data. The sweatier your palms, the more plants and flowers grow. By using electro-dermal activity(EDA) measured using DIY sensors and an Arduino, the changes in a person’s skin sweat glands cause changes in electrical resistance in the circuit which will trigger different levels of animations on the dome’s walls. I wanted to create a project that would treat biofeedback about sweaty palms in a positive way. For a lot of people, sweaty palms are a cause of anxiety as sweaty palms are normally viewed negatively in society. My project prompts personal self-reflection as instead of presenting data to show whether the body is under stress whether emotional or physical, it leverages the neutral nature of plants thus taking away any negative connotations. The idea to grow plants came from the notion that sweating means our bodies are losing water and that “water is life” and plants need water to grow. The grey wires in the fritzing diagram represent the sensors. They are connected to analog PIN A0 on the Arduino board. 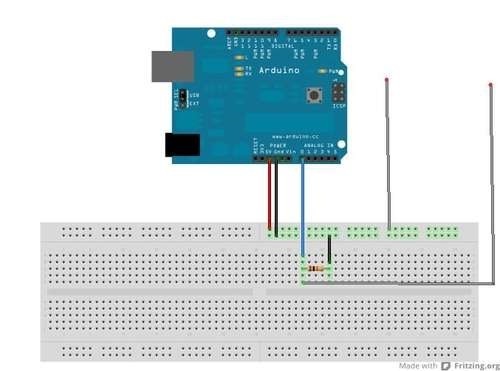 To create your sensors – follow the instructions here and design the sensors according to whatever your idea is. This article presents instructions for a sensor to be attached around one’s fingers. 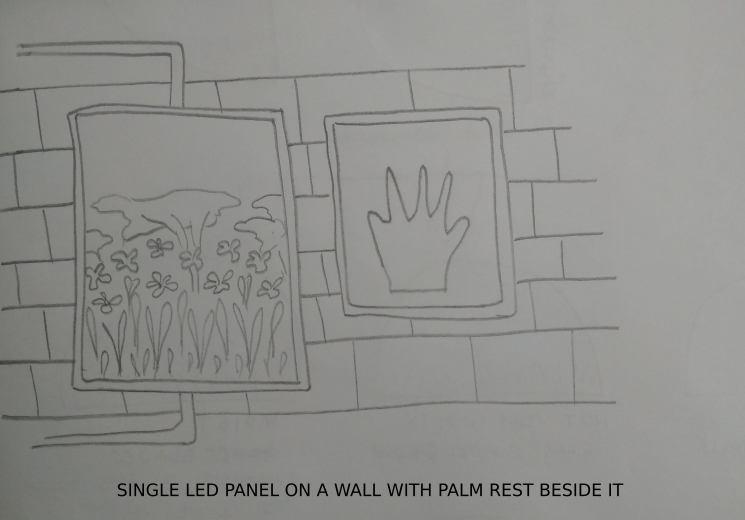 For my idea, I envisioned having a pad with a palm cut out so that an individual is invited to place their hand on it. The sensors would be on the tips of two of the fingers. Below are images from my steps of creating the sensors. For a proof of concept I would like to work on creating this dome idea but on a single screen or panel hanging on a wall. The palm rest with the sensors would be placed beside it. I would like to explore perhaps using Google Glass so that the individual can still be immersed in the SOMA GARDEN. I believe having the individual enclosed gives them space to actually reflect in private on what they are seeing and what it might mean to them. I believe that this design also gives the individual space to determine what their sweaty palms may mean, perhaps if they are feeling anxious the growing plants may distract them enough so that they can calm down and in terms of personal motivations, they can use the SOMA GARDEN as a space to meditate without external pressure. When coming up with threshold values test the sensors at different times of the day to get a variety in bio data. Additionally test with multiple individuals to get a more reliable sense of what kind of values you might get back. 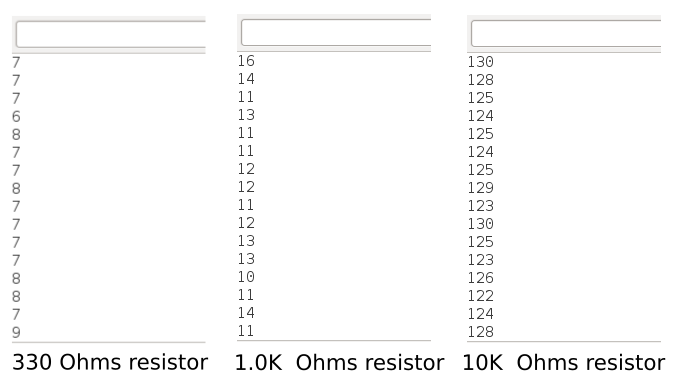 Test different resistors to get one that suits your needs. Preferably choose a resistor that generates higher values or allows for a wider range of values on the serial monitor. This will help when creating different thresholds for the sensors. For this project a 330 ohms, 1.oK ohms and 10K ohms resistor were tested and a 10K resistor was chosen. 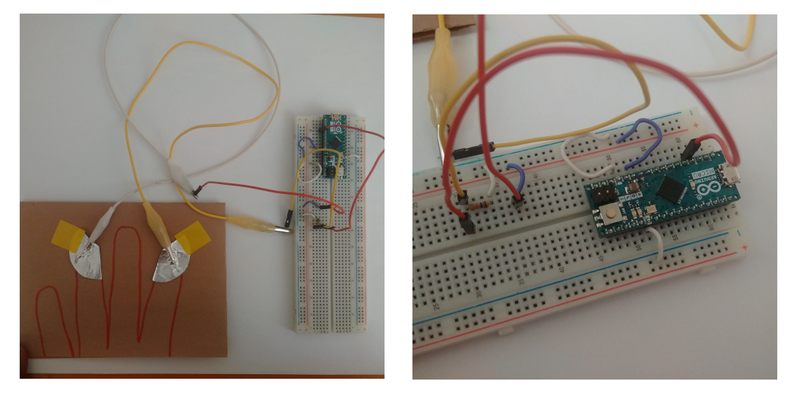 Below are screenshots of readings from the testing of the resistors in the circuit.